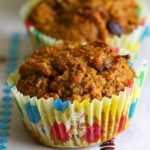 Here is a collection of baking and cooking recipes using hemp seed as one of the ingredients. This page will be updated on regular basis. Can't eat gluten and running out of ideas to make a wholesome yet delicious gluten-free breakfast? 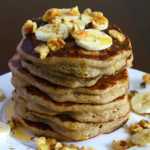 It doesn't have to be a daunting task with this easy to make flourless, vegan, gluten-free banana pancakes recipe. Blend ingredients in a blender and you are ready to go! Vegan and gluten-free pancakes ready in no time!